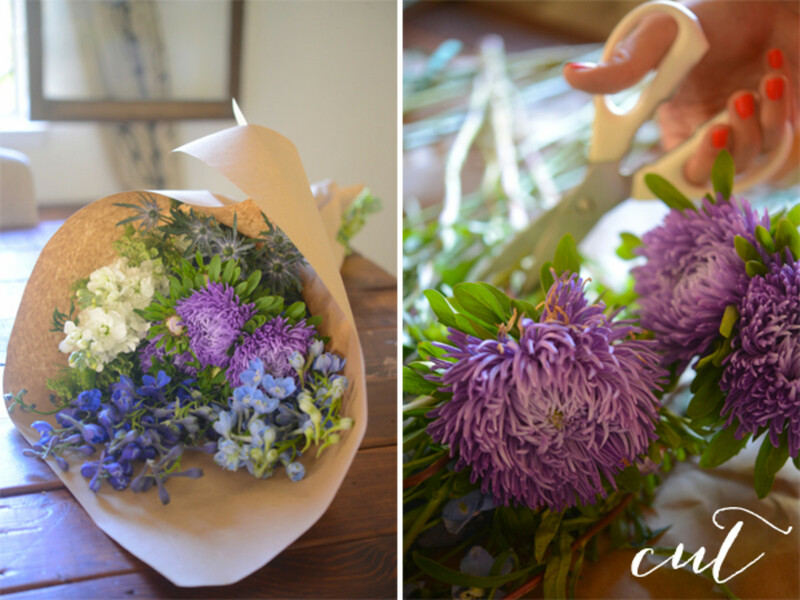 In an ideal world, I&apos;d have exquisite floral arrangements in every corner of my house. 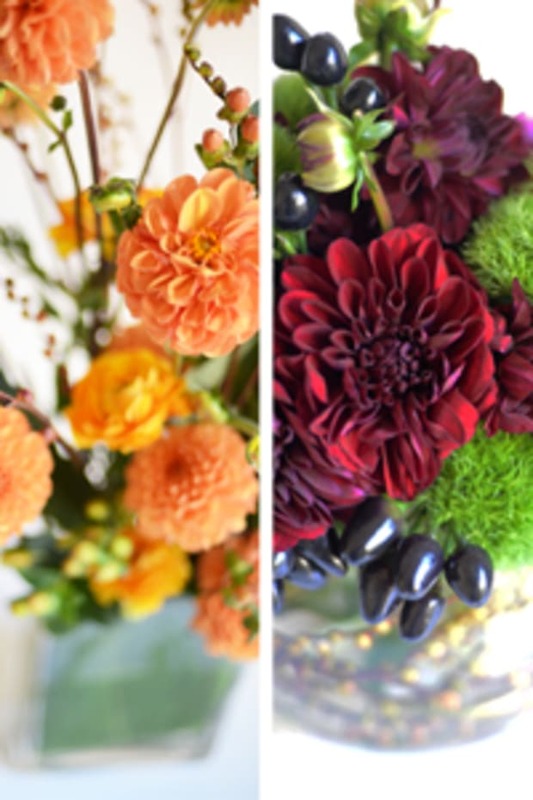 But since that&apos;s not exactly practical, I like to switch things up by discovering new flowers and pairing them in unique ways. 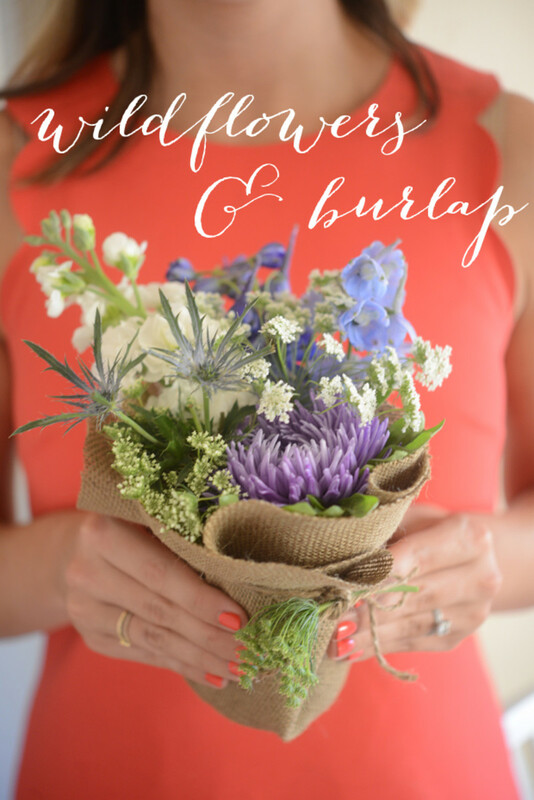 I love a wildflower-inspired bouquet and for a little twist, I used different sized jars and wrapped them in burlap to create several smaller, cohesive arrangements. 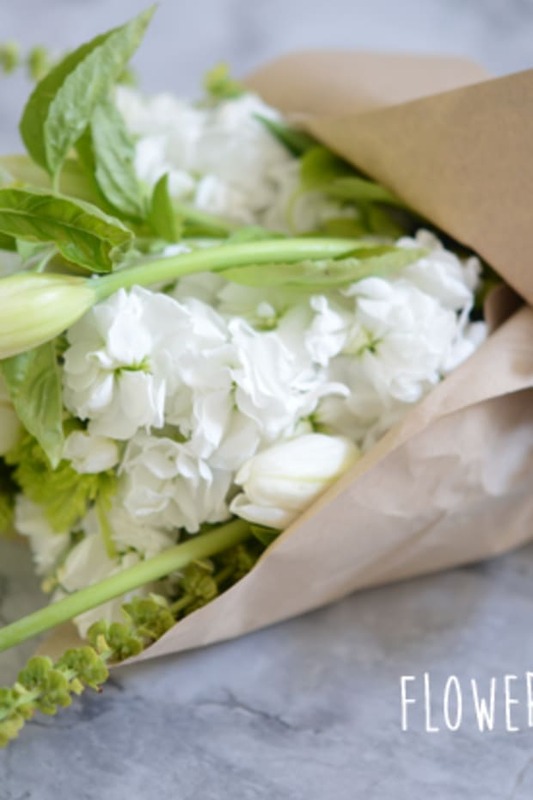 I lined them along the center of my table for a recent dinner party, but it could work just as well for a Mother&apos;s Day brunch, graduation lunch, or a simple summer get-together. 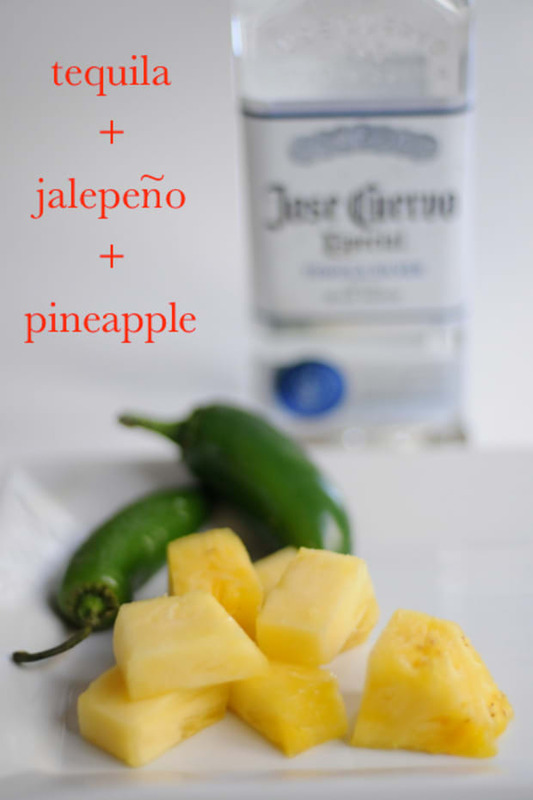 Here&apos;s how I made them. 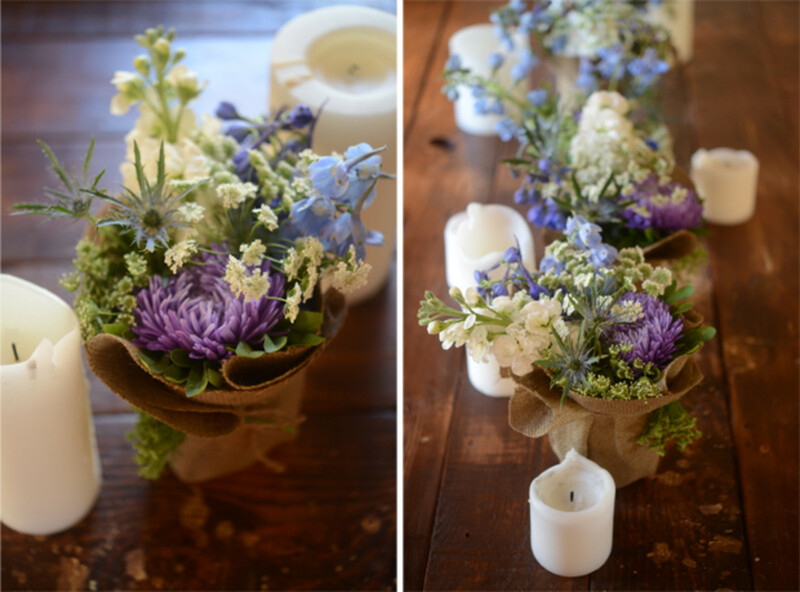 I first selected a bouquet of wildflowers that were all in the same color family. 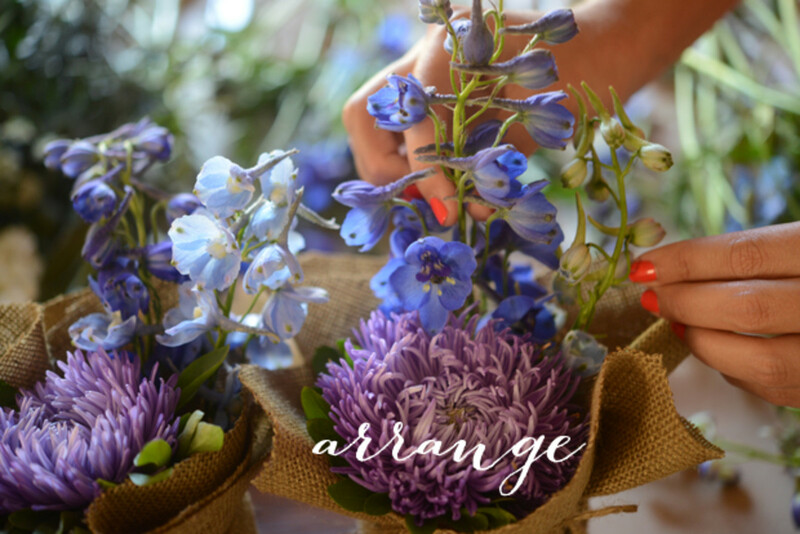 This is key to making the arrangements look imperfect, yet still purposeful. It&apos;s also nice to have some different elements as part of the arrangement, like sharp thistle, which gives them all an unexpected twist. Then trim them so they&apos;re all the same length. 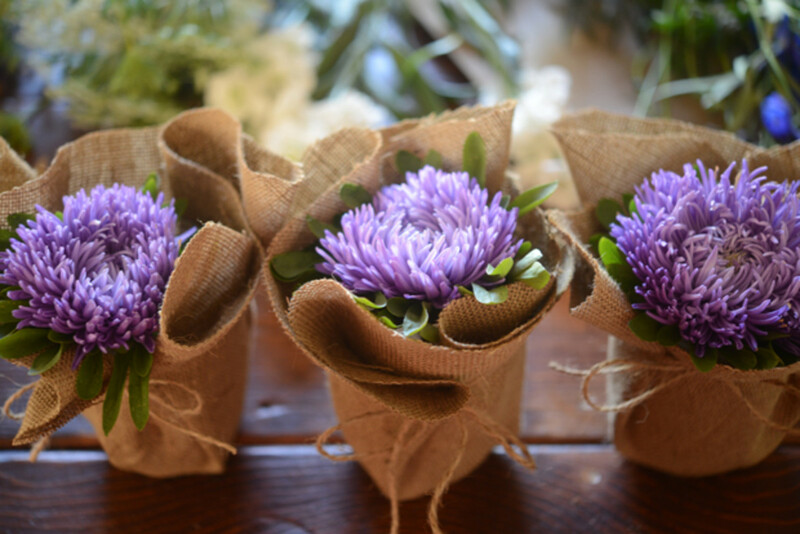 Taking a square of burlap, I wrapped five jars. Make sure to leave an extra 2-3 inches at the top in order for you to have enough room to cover the entire jar. 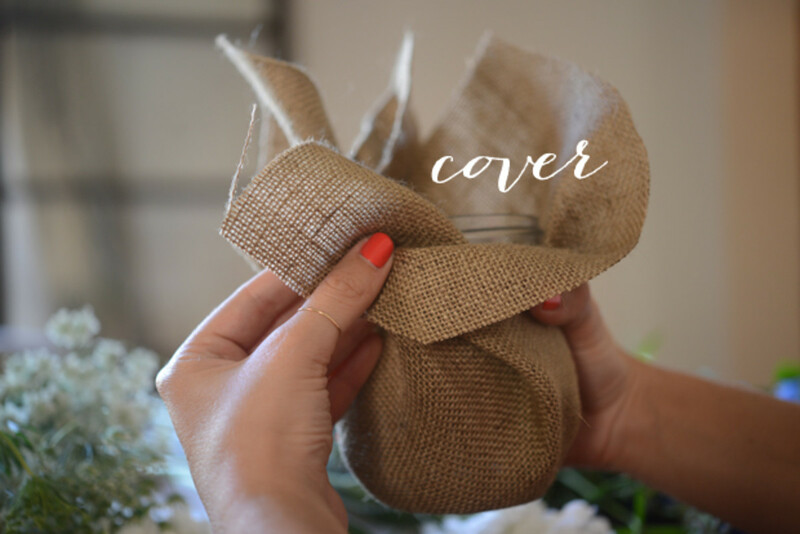 Secure the burlap on the jar with a natural twine, keeping in line with the rustic feel. 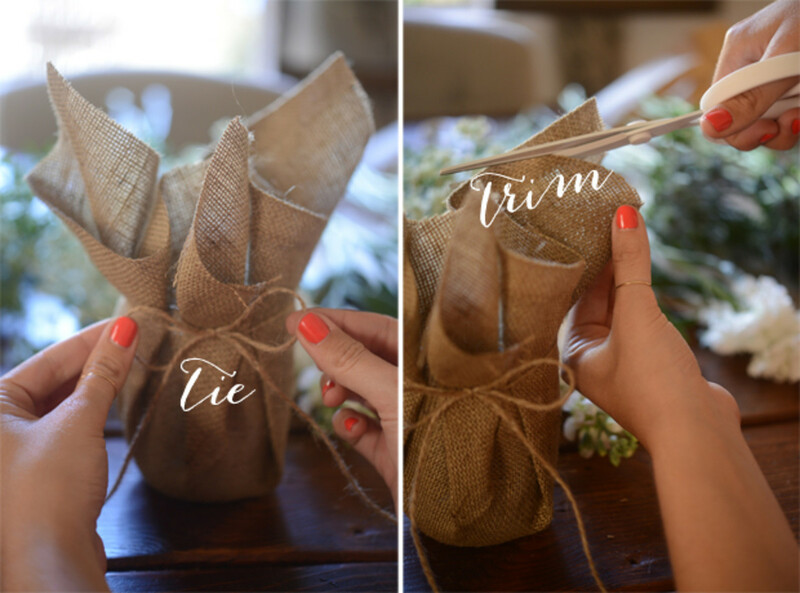 Tie the twine in a bow and then take some scissors and cut off some of the excess burlap. I also rounded all of the points so it they didn&apos;t look as severe. 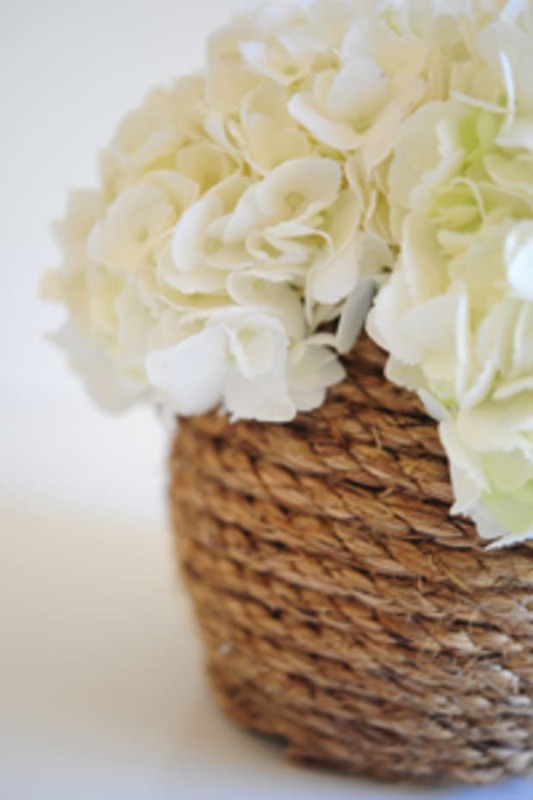 Arrange the flowers in each of the jars, making sure they all look full and balanced. The end result looks rustic and pretty, without being too precious.